Southold Yacht Club will host the 44th annual World’s Longest Sunfish Race, Around Shelter Island, NY on Saturday. Last year, John Condon of Mattituck became the third person to win the nautical marathon four times, and he will return to see if he can become the first five-time winner. Because of tacking and contingent upon the direction and velocity of the wind, the distance covered by these 13-feet, 10-inch sailing craft can be anywhere from 21 to 24 miles. There is a six-hour time limit and the record of 3 hours 23 minutes was set in 1999 by Todd Klingler of Narrasketuck Yacht Club. Over 50 sailors are expected to make the circumnavigation. Registration will be from 10 to 11:30 a.m., to be followed by a competitors’ meeting at 11:45 a.m. The 27th annual Around Shelter Island Catamaran Race will start at 12:30 p.m. 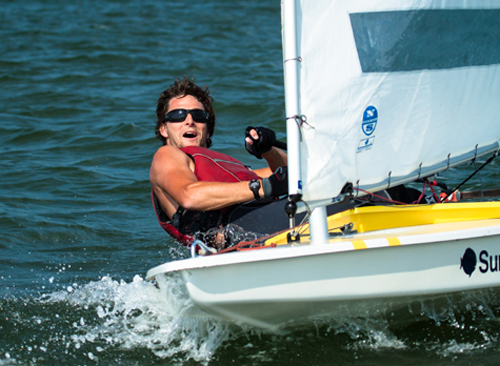 The Sunfish will go off at 1 p.m., and the fourth annual Around Shelter Island Laser Race will start a half-hour later.